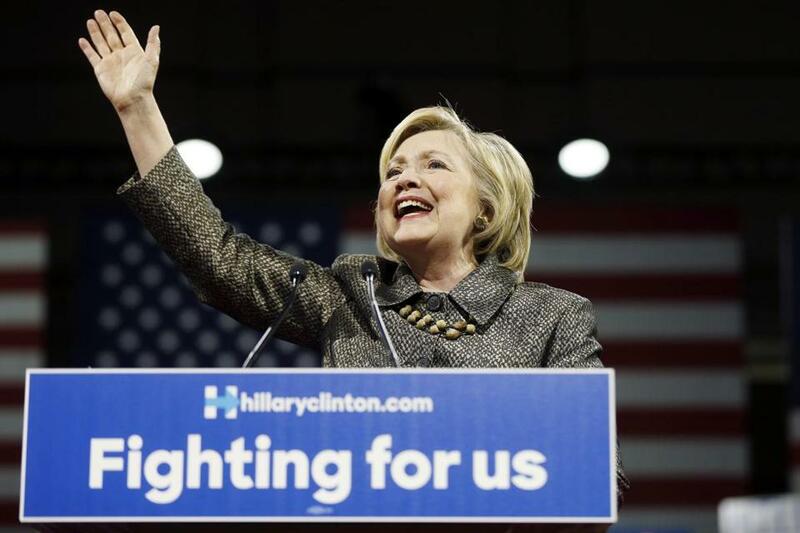 Hillary Clinton’s placard slogan “Fighting for us’’ is just one of several she has used. WASHINGTON — Hillary Clinton is one of the best-known political figures in America. Her campaign message, however, isn’t quite as established. The rationale for Clinton’s campaign has also been framed as “breaking down barriers” and providing “real results.” Online, Clinton’s slogan is different still, represented by the hashtag #ImWithHer. Clinton’s ever-evolving message identity highlights a broader critique of her candidacy: that she tries to be all things to all people, and that she does not let voters see who she really is underneath all the image-making. Trump trails in using fast-evolving digital campaigning to win over voters, data specialists working with the GOP say. 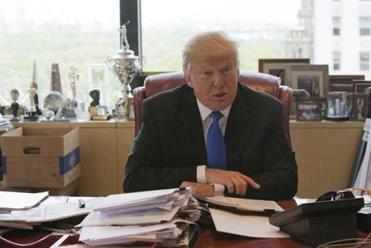 The importance of a consistent message is all the more important given the candidate Clinton is on a collision course to face in November: master promoter Donald Trump. 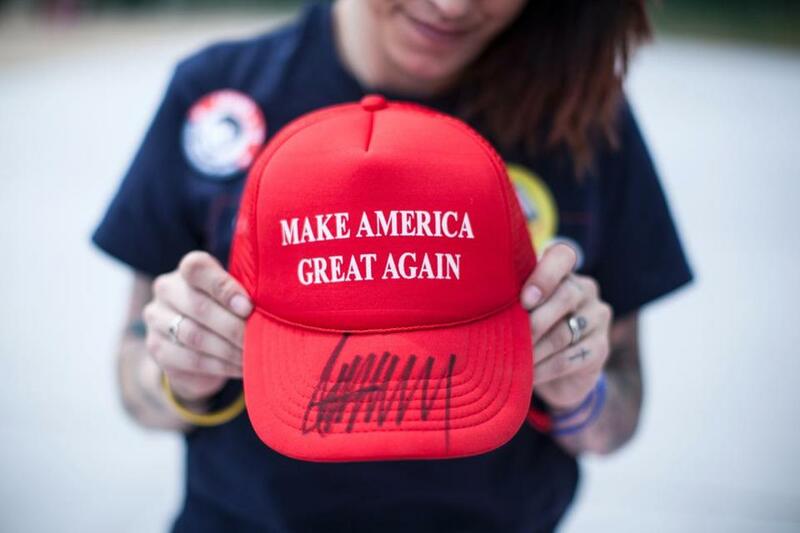 The billionaire real estate mogul already gobbles up TV time and his clean slogan — “Make America Great Again’’ — hasn’t changed a bit since it appeared on his podium, facing the cameras, the day he announced his Republican presidential bid. Trump has also shown an unfailing ability to define his opponents with a simple, often-lethal phrase. For Clinton he’s settled on “Crooked Hillary,” a nickname that encompasses the 1990s scandals from her husband’s presidency as well as the current drip of news about her controversial use of a private e-mail server while she was secretary of state. From the Clinton campaign’s perspective, the slogans and themes must change with the phases of the monthslong race. What might work in the Democratic primary — such as the often-repeated pledge to “continue the progress that we’ve made under President Obama” — might not work in the general election. But to get a sense of the reach of sticking with a single message, consider Twitter. Clinton’s #ImWithHer slogan has been used on the social media platform 1.57 million times since the campaign started using it in October, according to Zignal Labs, a San Francisco-based data firm. In the same period, Trump’s slogan, #MakeAmericaGreatAgain, which is longer and therefore less Twitter friendly, has been used 6.1 million times, according to the firm. Clinton’s social media slogan — #ImWithHer — carries some risk, which is perhaps why the campaign positions images of other messages behind her during televised rallies. “It highlights her gender — a positive among female voters, but potentially a negative among male voters,” said Jill Avery, a senior lecturer at Harvard Business School and specialist on brand management. Clinton’s latest slogan — “Stronger together” — downplays gender, Avery said. “The best slogans are ones that are resonant and relevant to consumers — and being resonant and relevant requires being in tune with the cultural moment in a particular time and place,” she said. Clinton began campaigning in April 2015 and her first “official” rally was in June at the Four Freedoms Park on New York City’s Roosevelt Island; President Franklin D. Roosevelt delivered his “Four Freedoms’’ speech there in 1941. The name cleverly matched the “four fights” of her campaign that Clinton had been talking about already for two months. Not so for the others. Fight Number Three, in the early phases of the campaign, started as “Fixing our dysfunctional political system” before being swapped out for “Defending America and our core values” in e-mail communications distributed by her aides. In February, facing an unexpectedly rough challenge from Senator Bernie Sanders, Clinton stopped focusing on the “Four Fights’’ all together. Part of the trouble Clinton faces is that, as a political figure who has been in the public eye for a quarter-century, she has a difficult time overcoming preestablished views. Barack Obama, a fresh and inspirational face in his 2008 presidential race, could utter the words “change” and “hope” and unleash a torrent of emotional energy that helped him sail past her in the primary and then win the White House. But behind the scenes, even Obama’s campaign second-guessed the message. Campaign aides at one point considered playing down the aspirational themes that defined the campaign. “There were times when people made the argument that we should talk more about his experience,” said Tommy Vietor, a Democratic strategist who was Obama’s spokesman in Iowa during the 2008 campaign. He said there was internal debate over whether “hope” and “change” were the right messages, particularly during phases when Clinton was doing well. But defining a rationale for the campaign is a problem that dogged Clinton in 2008, where she also had a verbal buffet of catch phrases. As the Democratic nomination was slipping away to Obama, the campaign unleashed another: “Solutions for America.” Even within the Clinton campaign, some were uninspired. “It sounds like something you’d buy at the pharmacy,” an unnamed Clinton aide complained to the Los Angeles Times in March 2008. Her first ad also used the phrase “More than a first lady” — another one that’s faded.